Kobe Bryant has revealed that while he was dominating play on the basketball court, he was also quietly building a $100 million venture capital firm. 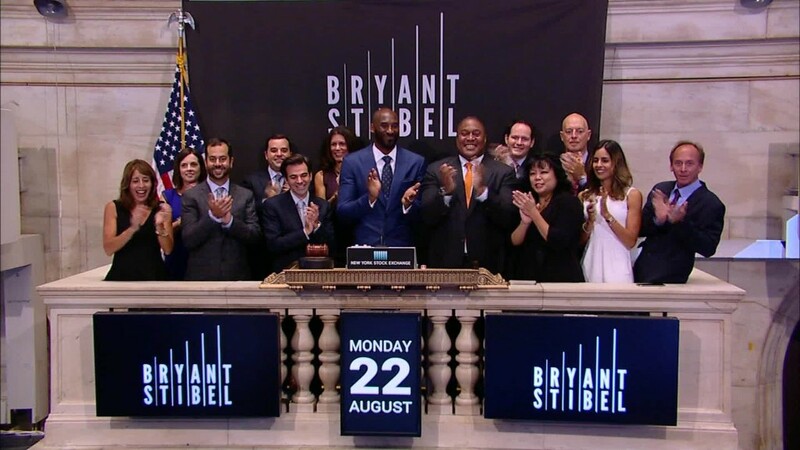 Bryant's Wall Street secret went public Monday when the former Los Angeles Laker rang the New York Stock Exchange bell and told CNBC's "Squawk on the Street" about his three-year-old venture. Bryant, who retired from the NBA this year, said that investing is one of his passions. "This is where it's at for me," he said. The $100 million venture-capital fund was co-founded in 2013 by Jeff Stibel, a serial entrepreneur, scientist and author. Stibel currently serves as the vice chairman of Dun & Bradstreet, and was previously the president and CEO of Web.com, Inc. The lag time allowed the fund to stand on its own merit, rather than on the celebrity of its founders. "We wanted our body of work, and the entrepreneurs and companies, to stand for themselves," Stibel told CNNMoney. "We wanted to prove that this was something that had substance and depth." Bryant Stibel has already invested in 15 companies and been involved in 50 transactions. The group's current portfolio includes Derek Jeter's media company The Player's Tribune, home juicing firm Juicero, and the Chinese online retailer Alibaba. Bryant and Stibel are listed as general partners, and Stibel says they are mostly responsible for that $100 million fund. Bryant Stibel's core team, made up of a small group of individual investors Stibel has worked with previously, contributed the rest. Bryant's role in the fund was first reported by The Wall Street Journal. The future Hall of Famer's interest in business has been well documented. Speaking on an episode of The Bill Simmons Podcast that was published in April, "Shark Tank" star and venture capitalist Chris Sacca discussed Bryant's entrepreneurial ambitions. Sacca said that Bryant reached out to him a few years ago to learn more about the industry. Sacca recommended Bryant learn about investing through Ted Talks, other videos and articles -- and was surprised when he did. "He was bringing the same obsessive work ethic to learning about startups that he does to training... This is a very unique personality type that I only kind of see in some of our very best entrepreneurs," Sacca said. On "Squawk on the Street," Bryant said he hopes his legacy will be for investing, rather than basketball. "Playing basketball, the focus is always on winning -- winning championships, winning championships, winning championships," Bryant said. "Now, championships come and go... But if you really want to create something that lasts generations, you have to help inspire the next generation... That's when you create something forever. And that's what's most beautiful." Of Bryant, Stibel told CNNMoney, "We are very much equal partners." He specified, however, that their roles differ. "Kobe focuses on leadership, inspiration, storytelling," while Stibel primarily handles "operations, strategic directions for companies," and growth. According to its website, Bryant Stibel aims to invest in technology, media and data companies with a focus on those in the sports and wellness fields.